August 4, 2017 - On the African savannah, nothing goes to waste—especially food. 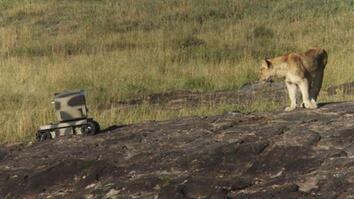 After this lion was done enjoying its kill, the scavengers arrived. Hyenas chased off the smaller jackals, fighting amongst themselves for the prize. Attracted by the noise, the lion returns to scare away the hyenas. 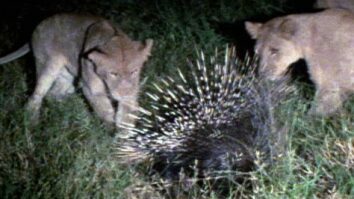 Having already eaten the nurtient-rich organs like the liver and heart, the lion is no longer interested in the scraps. 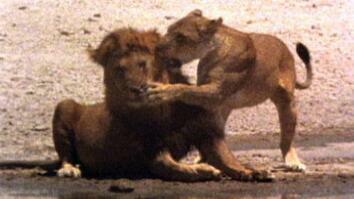 Click here to read 'Battle' Between a Lion and Hyenas Isn't What it Seems.